BCI Airporter Bus aluminium bull bar #1 BCI Airporter Bus hi-tensile aluminium bull bar with contoured main bar fitted with indicator lights and access to fog lights. This bar affords maximum protection and enhances the clean lines of the bus. BCI Airporter Bus hi-tensile aluminium bull bar with contoured main bar fitted with indicator lights and access to fog lights. This bar affords maximum protection and enhances the clean lines of the bus. BCI Master Class 57 aluminium bullbar #2 BCI Master Class 57hi-tensile aluminium bull bar with contoured main bar fitted with indicator repeater lights, this bar affords maximum protection and enhances the clean lines of the bus. BCI Master Class 57hi-tensile aluminium bull bar with contoured main bar fitted with indicator repeater lights, this bar affords maximum protection and enhances the clean lines of the bus. BCI Raytheon 57 hi-tensile aluminim bull bar #3 BCI Raytheon Class 57 hi-tensile aluminium bull bar with contoured main bar fitted with indicator repeater lights. Driving light mounts to customer specifications. 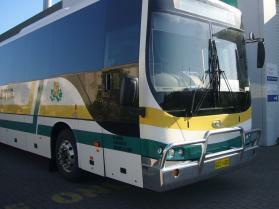 This bar affords maximum protection and enhances the clean lines of the bus. BCI Raytheon Class 57 hi-tensile aluminium bull bar with contoured main bar fitted with indicator repeater lights. Driving light mounts to customer specifications. This bar affords maximum protection and enhances the clean lines of the bus. 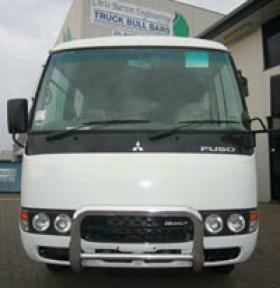 Fuso Rosa High Tensile Aluminium Nudge Bar #5 Fuso Rosa High Tensile Aluminium Nudge Bar. An ideal protection solution for the around town operator affording protection from those nasty nudges in carparks and traffic. Fuso Rosa High Tensile Aluminium Nudge Bar. An ideal protection solution for the around town operator affording protection from those nasty nudges in carparks and traffic. Daewoo Coach hi-tensile bullbar #6 Daewoo Coach hi-tensile bullbar. Polished aluminium enhances the look of the vehicle and affords maximum protection. 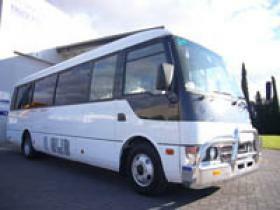 Daewoo Coach hi-tensile bullbar. Polished aluminium enhances the look of the vehicle and affords maximum protection. 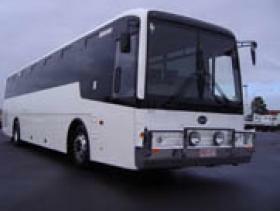 Mercedes Coach Hi-tensile Aluminium Bull Bar #7 Mercedes Bus hi-tensile aluminium bull bar with contoured main bar. 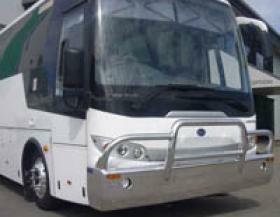 This bar affords maximum protection with an additional centre protection bar and enhances the clean lines of the bus. Mercedes Bus hi-tensile aluminium bull bar with contoured main bar. 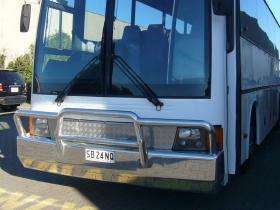 This bar affords maximum protection with an additional centre protection bar and enhances the clean lines of the bus.